David Le/Salem News. 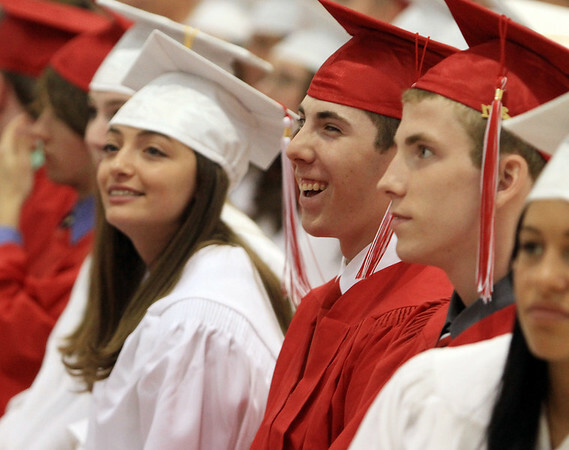 Masco seniors Andrea Tuttavilla, left, Corey Rudor, center, and Casey Tudor, right, laugh during a speech during their graduation ceremonies last night. 6/3/11.